Three rail workers, arrested on suspicion of manslaughter over a fatal rail crash in Cumbria, have had their bail extended. 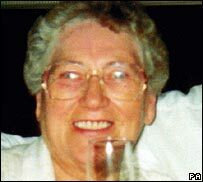 Margaret Masson, 84, of Glasgow, was killed and 22 people injured when the Virgin train derailed at Grayrigg in February last year. Two Network Rail employees from Tebay, and a third worker from Preston, Lancashire, were arrested months later. The men, aged 46, 60 and 64, will now report to police in June. A British Transport Police spokesman said: "All three were due to answer bail today but this has been extended until the end of June pending further inquiries." An initial report by the Rail Accident Investigation Branch (RAIB) blamed a faulty set of points for the crash on 23 February, 2007. A later report by Network Rail, released in September, found systematic failures in track patrolling and management.